Will the real consumer advocates please stand up? What is a Functional Capacity Evaluation? Books make great holiday gifts for lawyers. We can read really quickly (from all the document review) and with our Type-A personalities we feel like we should always be working (even during leisure reading). Here are my gift suggestions for the lawyer in your life. This is a great “how to” book for new lawyers. It covers every step of trial with clear examples. Plus, unlike most of the books on this list, it is written from a Canadian perspective. This is about accessing the decision-maker’s “reptile brain”, the primitive, instinctive brain shared by all reptiles and mammals (including humans). Helpful, practical neuropsychology. 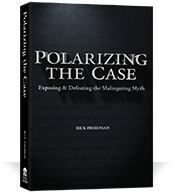 While Friedman is probably better known for Rules of the Road, Polarizing the Case provides groundbreaking strategies on how to confront biased experts, especially those who claim that all (or almost all) plaintiffs are malingering fakers. 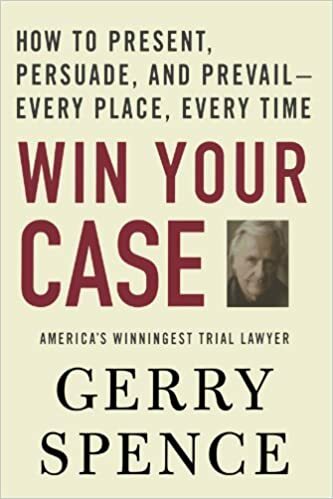 Spence is “America’s Winningest Trial Lawyer” (according the cover of the book) and has written a LOT of books about being a trial lawyer. With this book, the reader really feels Spence’s passion for justice for the downtrodden. And, there is some great, practical advice, like the importance of being comfortable in your own skin. 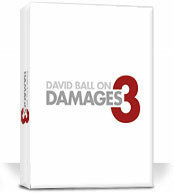 Though the title says “on Damages”, this is probably the most detailed trial strategy book on both damages and liability. It is long, detailed and fascinating, with great strategy after great strategy. Don’t be put off by the intimidating size of this textbook. It is well-written and easy to understand (unlike most law school textbooks). It is an American text, but sometimes we need to look at other jurisdictions for inspiration and novel argument. Through three cheese trees three free fleas flew. While these fleas flew, freezy breeze blew. Freezy breeze made these three trees freeze. Freezy trees made these trees’ cheese freeze. That’s what made these three free fleas sneeze. If you can do these, you’ll never get tongue-twisted in court. Available anywhere that sells children’s books. And Amazon. Duncan is a founding partner of White Macgillivray Lester LLP in Thunder Bay and Lecturer at the Bora Laskin Faculty of Law, Lakehead University, teaching Insurance Law. Duncan has served injury clients all across Northwestern Ontario, from the Manitoba border in the west, to Greenstone in the east and all the way up north to Hudson’s Bay. Duncan is involved in his community, serving on the Board of Directors of the Brain Injury Association of Thunder Bay and Area from 2009 to Present (with 2010 to 2015 as President) and the Board of Directors of Thunder Bay Counselling Centre 2009 to 2015 (with 2011 to 2015 as Board Chair). Duncan is also involved in the legal community, sitting on the Board of Directors of the Ontario Trial Lawyers’ Association since 2015, Thunder Bay Law Association since 2012, and Co-Chairing the Thunder Bay Law Association’s Civil Litigation CLE programs.